Not only does it contain a great collection of poetry (over 100 poems), but it also features the illustrations of nine Caldecott artists. Poems are clustered into topics such as “Spooky Poems” and “Mostly Nonsense”. It also includes my favorite poem, “Sunflakes”. 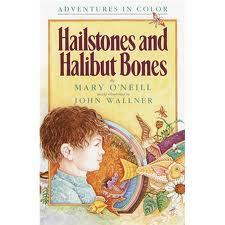 This is a short book that explores the vivid imagery of twelve different colors. A book for all ages. A favorite poetry list must include something by Shel Silverstein. 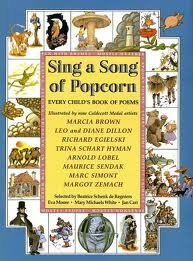 The collection is full of humorous poetry with Silverstein’s own illustrations. 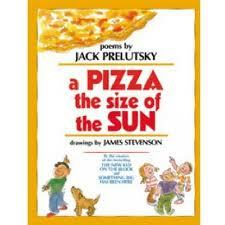 Jack Prelutsky is a well-known children’s poet. 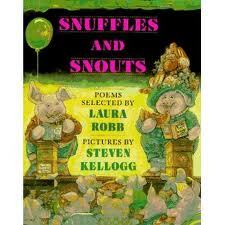 The book contains over 100 humorous poems. Lee Bennett Hopkins selected the poems for this book. 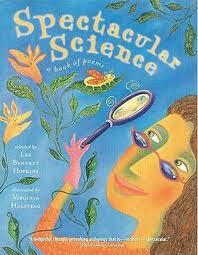 You will find poems about magnets, metamorphosis, snowflakes, stars and more. 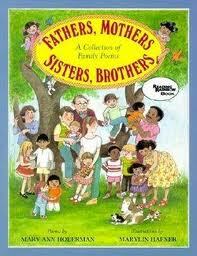 Mary Ann Hoberman showcases families in this collection of poems from “Cousins are Cozy” to “When Annie Was Adopted”. A whole book of poetry about pigs! Steven Kellogg illustrated the collection. It’s a beautiful and fun book. 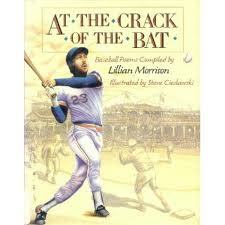 Just in time for baseball season, Lillian Morrison has compiled over 30 poems about the beloved sport. Take me out the ballgame! This collection features poets such as Rowena Bennett, Jack Prelutsky, Beatrice Schenk de Regniers and more. Poems are silly and spooky, but not scary! A powerful duo of Jack Prelutsky, who compiled the poems, and Arnold Lobel, who illustrated the book, equals one classic poetry book to have in your collection. It has always been one of my go to resources for great poems. I like it so much that I giving a copy away to one lucky reader! 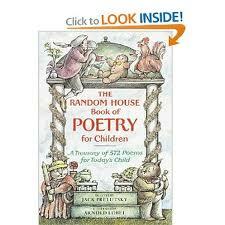 You have multiple chances to win a hardcover copy of The Random House Book of Poetry for Children. There you go! Four ways to win! Entries will be accepted until 4/8/12 at 9:00pm (CST). The lucky giveaway winner will be randomly selected the week of 4/9/12 and announced on this site. The winner will have 5 days to contact me with mailing information. If the winner does not contact me within the given time, another winner will be selected. Good luck! And, don’t forget to celebrate Poem In Your Pocket Day on April 26th. Simply carry around your favorite poem in your pocket for the day and share it with others. *Check out my linky party page to see where I’ve linked to this week. I just found you via ABC 123. Those all look like really fun books to share with my boys and I’ve only heard of two of them. Thanks for the great list, I love reading poetry to my littles. We would LOVE to win one to add to our collection. I started following you via Pinterest, and if it counts I’m following on Google Reader (not by email). Jodie, your selections look wonderful I’m only familiar with a few. Some of titles are very catchy and fun. Enjoy poetry month. A poet I wish, but am not. What a GREAT list of books an a giveaway!! LOVE! I just found you through play on words! I’ve followed all the guidelines and liked you on Facebook and put in my email address, followed on Pinterest (logging in through FB and would like to get it on my Google home page) and obviously am leaving a comment! 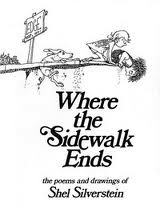 I think of all the books my favorite is “Where the Sidewalk Ends”. I can’t wait to read some of the rest that are new to me! I found you through ‘playIng with words 365’. I love poetry and often use it when teaching college ESL, as well as with my 2 year old and of my husband and I exchange poems about once a month. This would be wonderful to win! I am now an email follower!